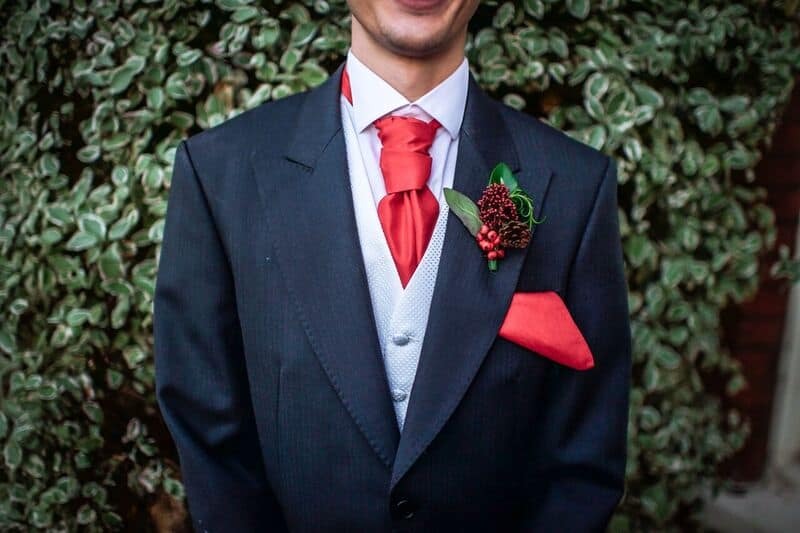 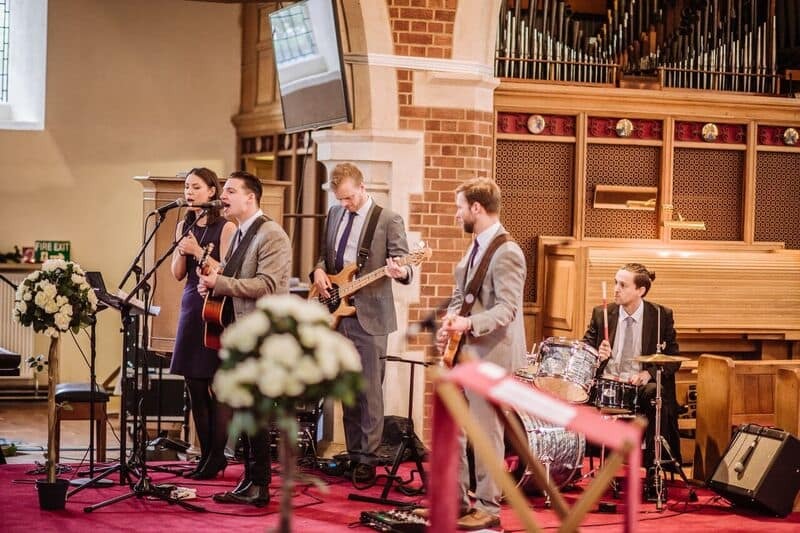 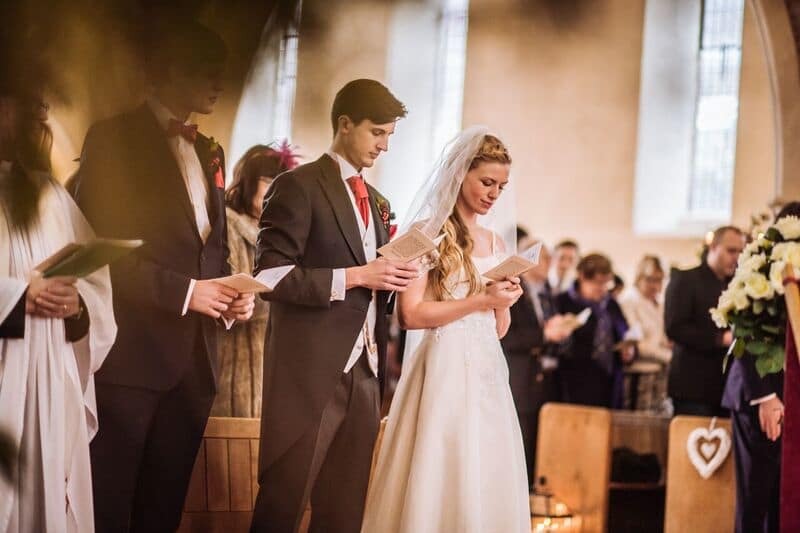 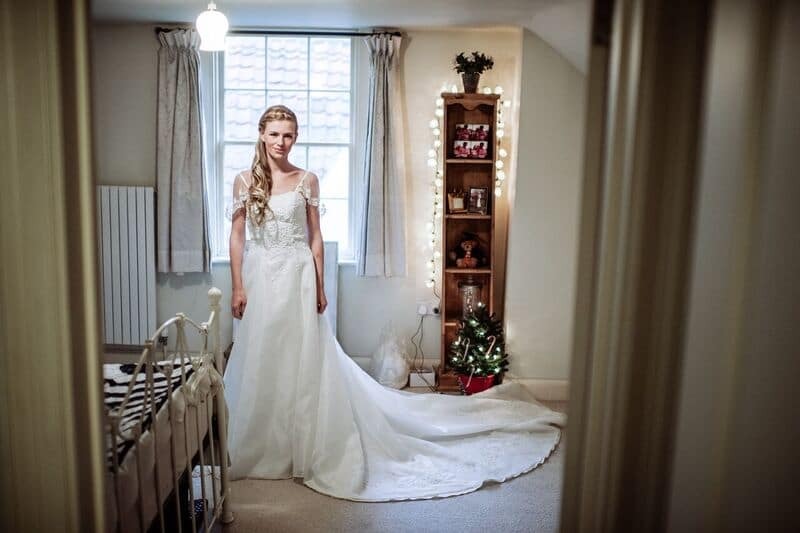 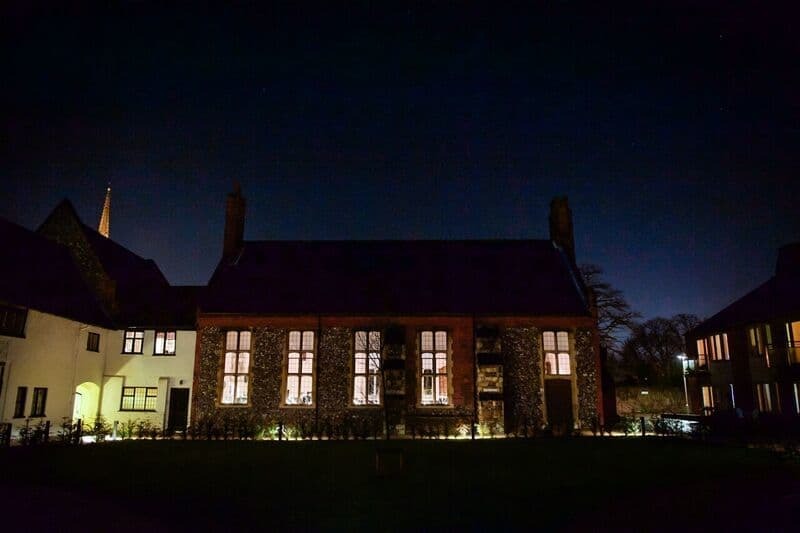 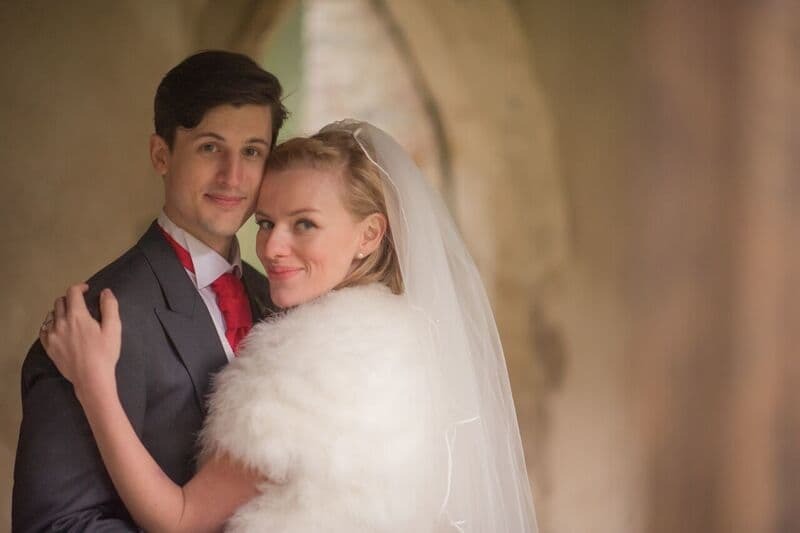 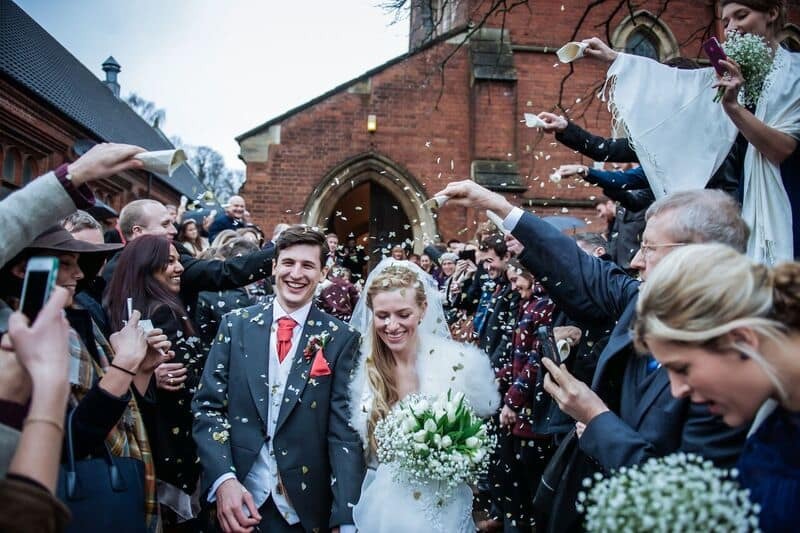 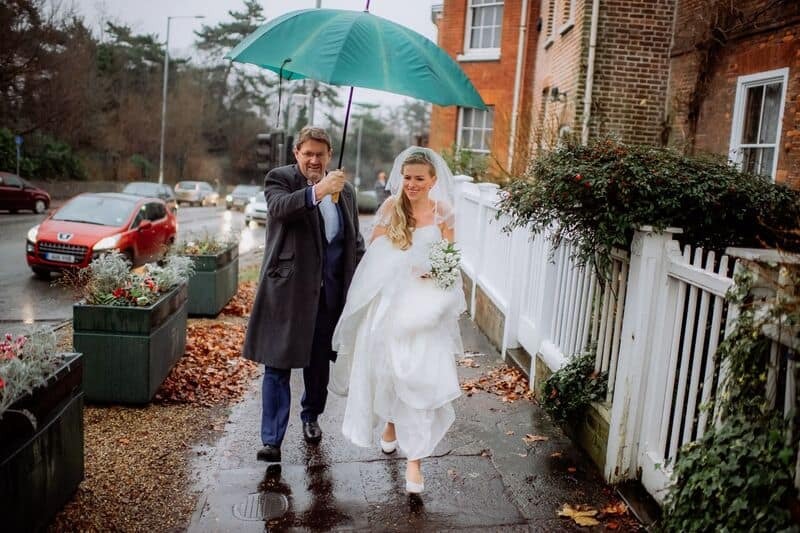 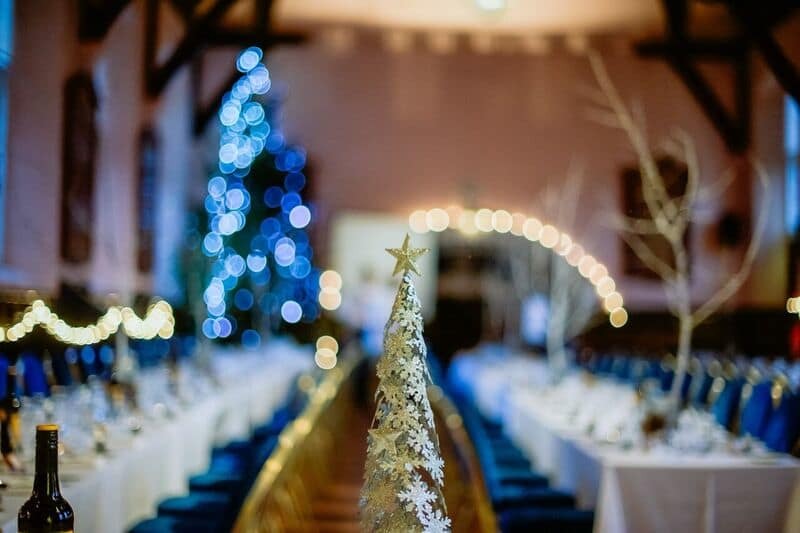 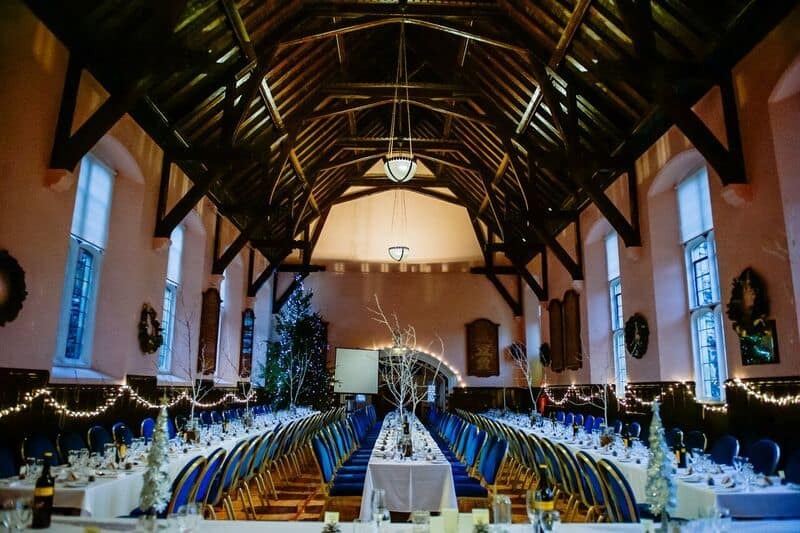 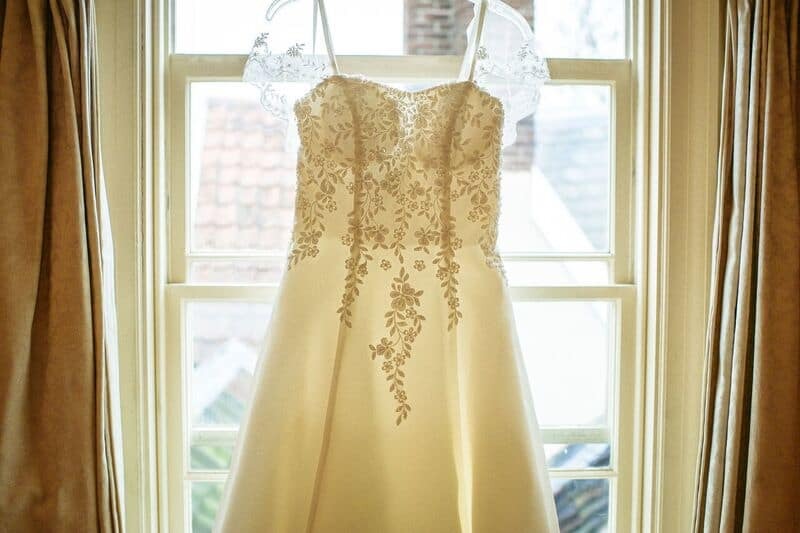 Here’s a warm and cosy Winter wedding in a historic medieval building in Norwich. 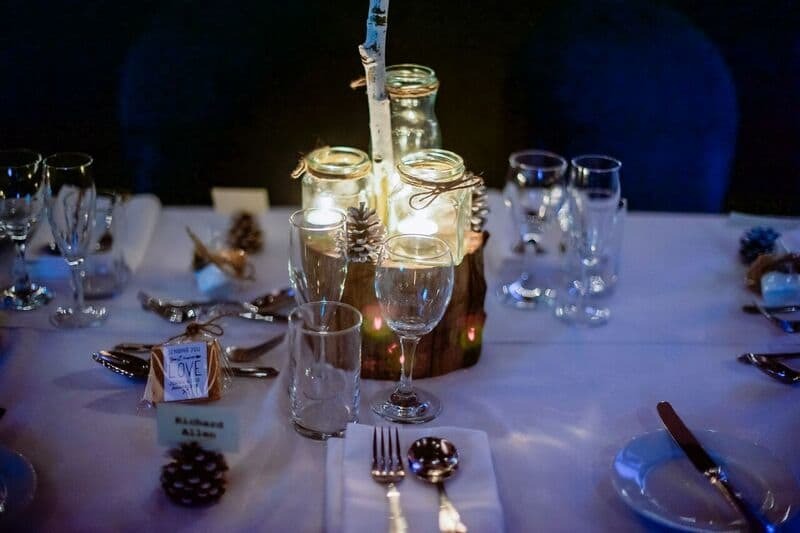 Naturally dark beams overhead added to the ambience along with forest-themed blue and white décor such as pine cones and log centrepieces lining the full-length tables. 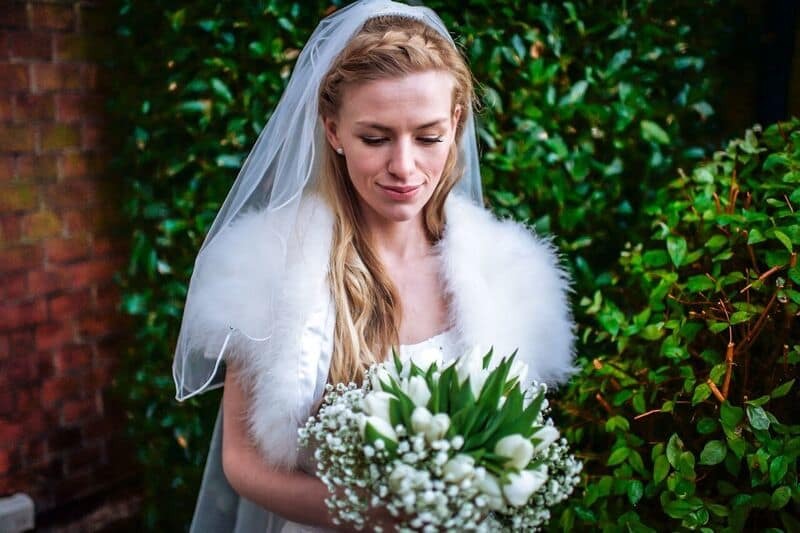 The bride, Lois, prepared for the cold with a lovely white fur that complicated her wedding dress beautifully. 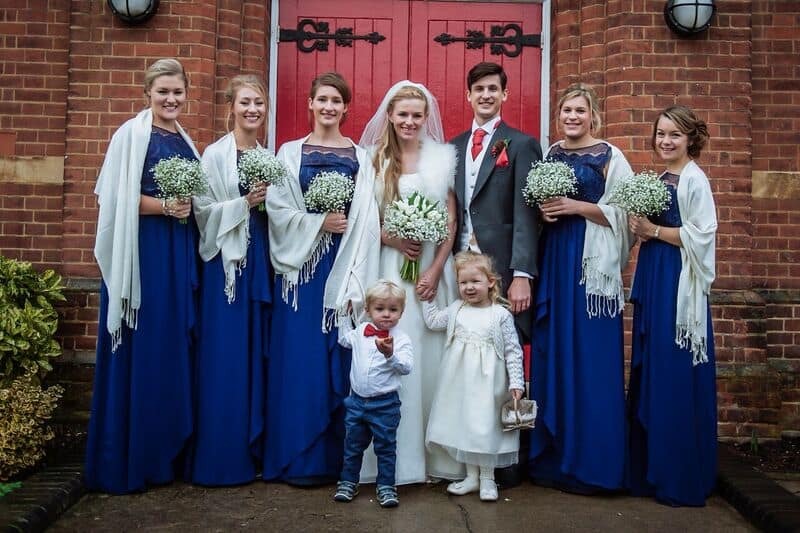 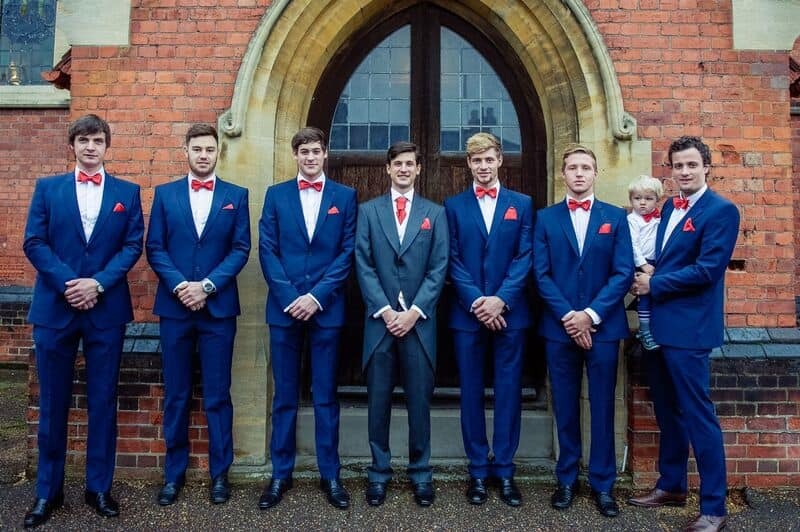 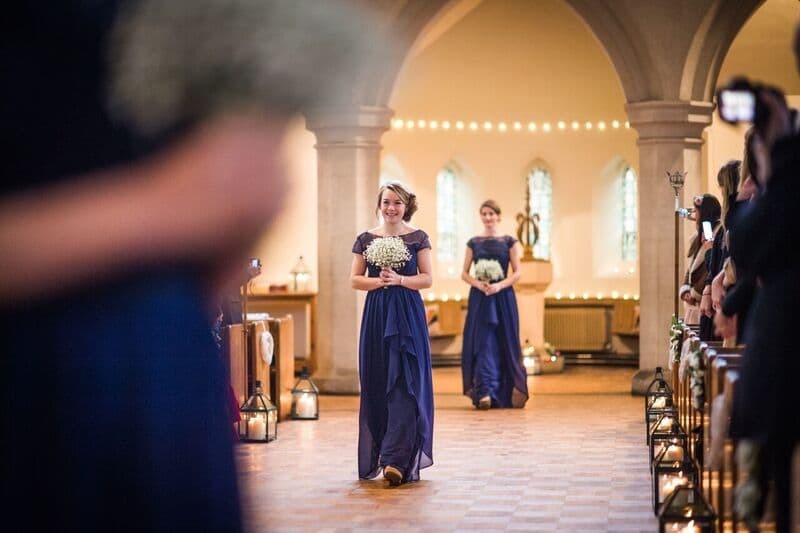 The bridesmaids in navy blue coordinated nicely with the ushers in red details. 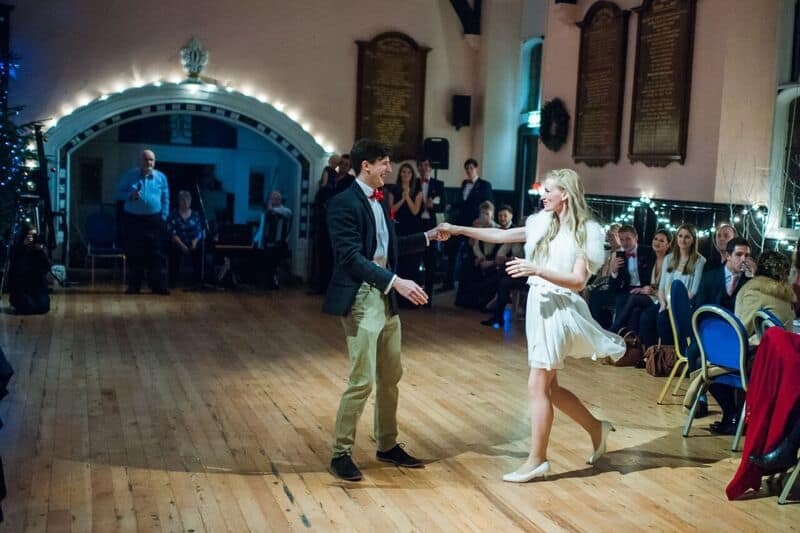 Looking forward to a night of dancing, Lois changed into a shorter dress, perfect for being spun by her new husband, Jonny! 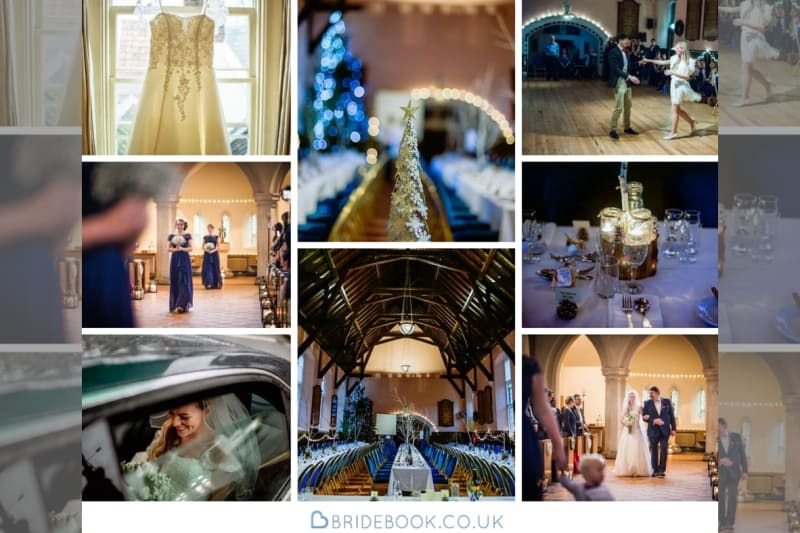 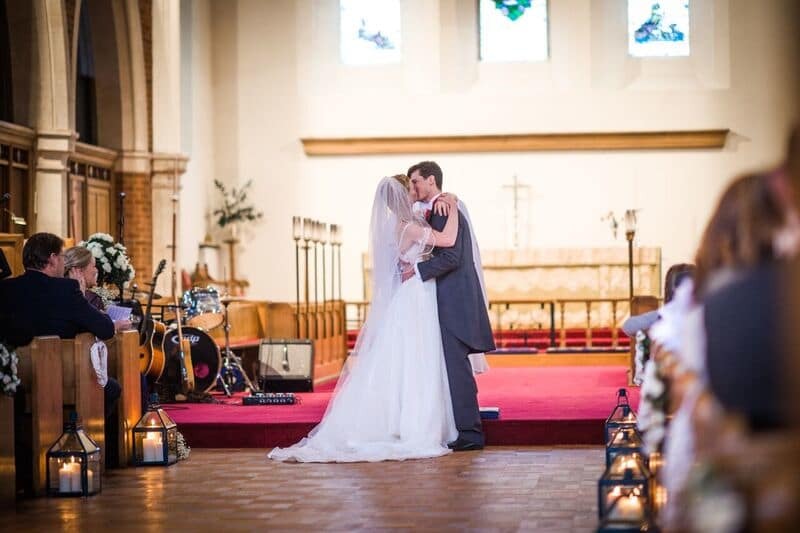 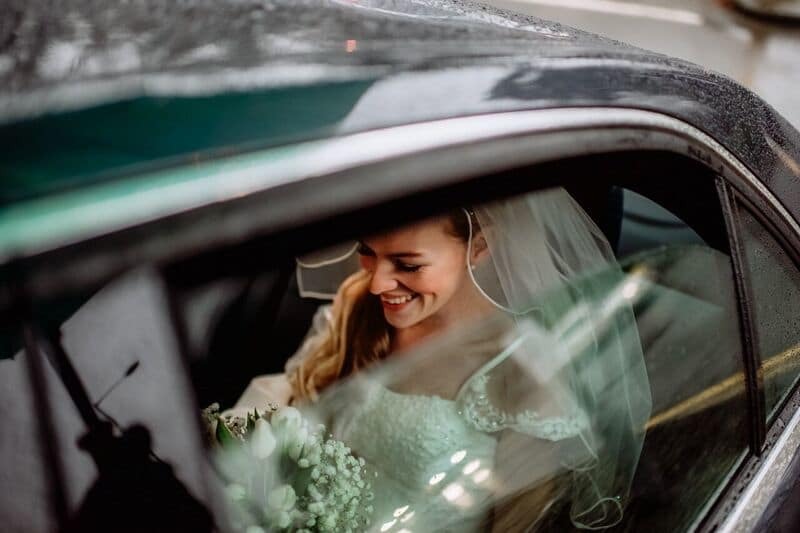 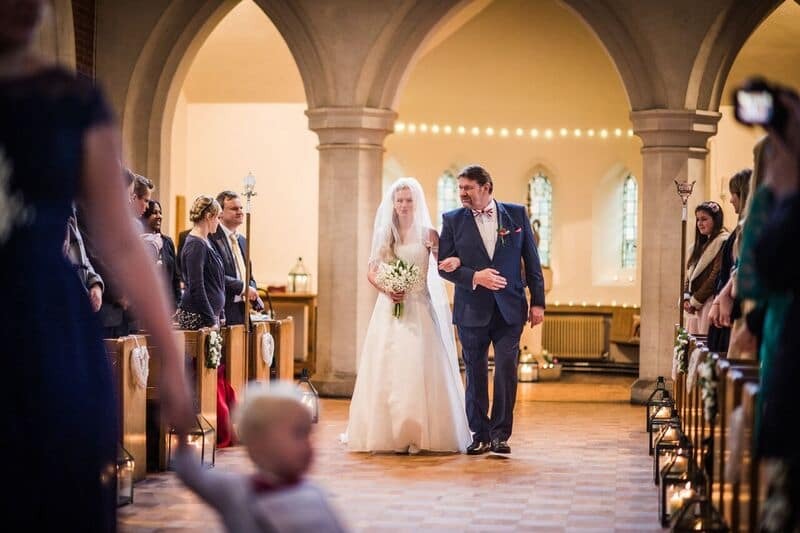 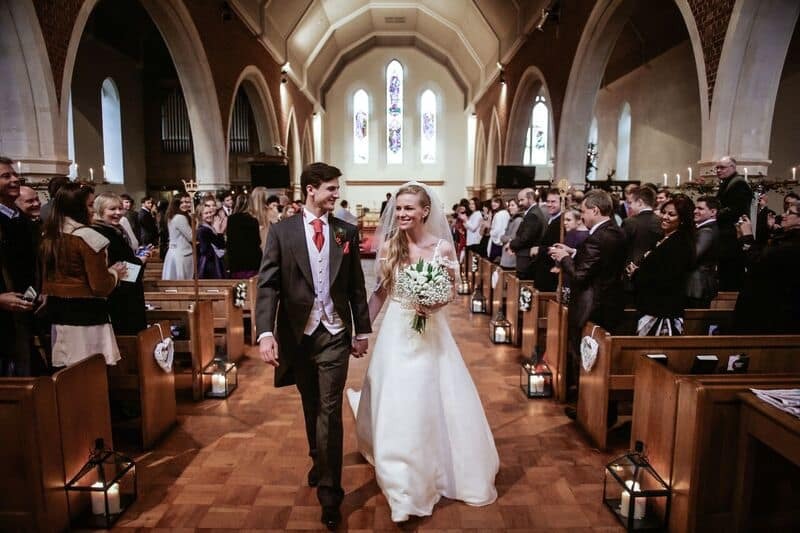 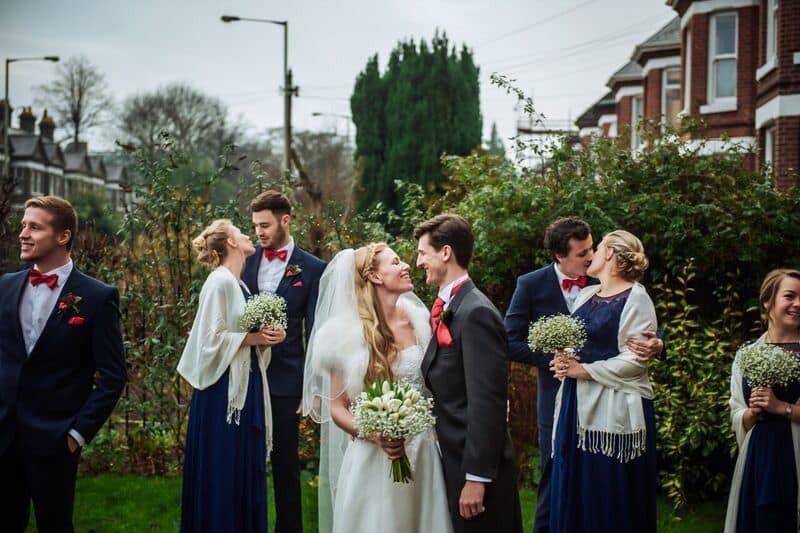 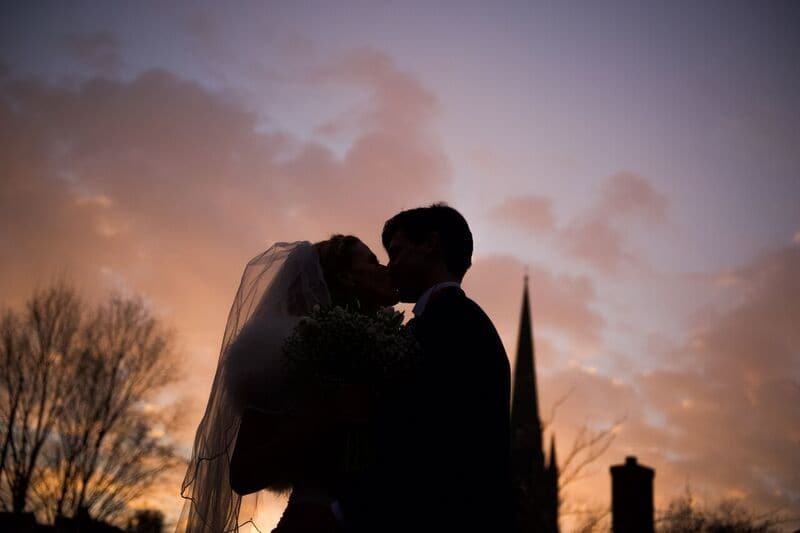 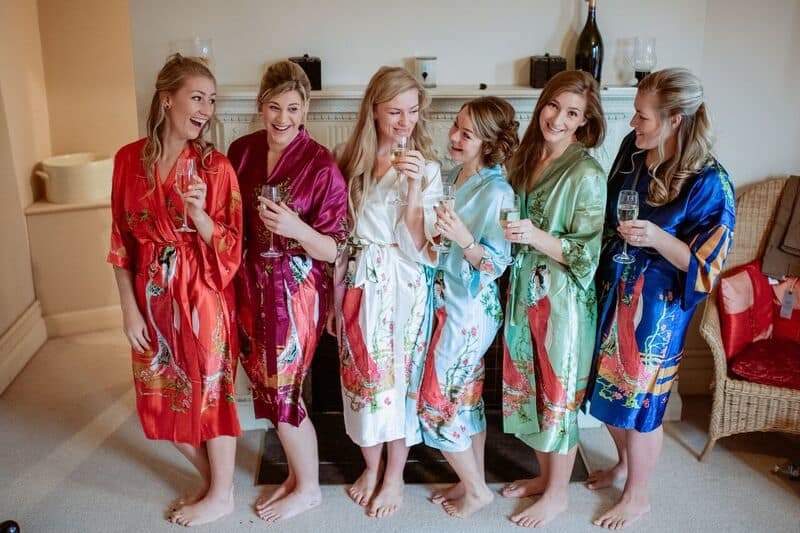 Congratulations Lois & Jonny and thank you Hajley Photography for letting us share these beautiful photographs to help remember a very special day!